The funniest thing on tv this year since Peter Pan Went Wrong! Mischief Theatre have tapped a rich vein with their anarchic take on theatrical traditions and this translates well into the television environment too. 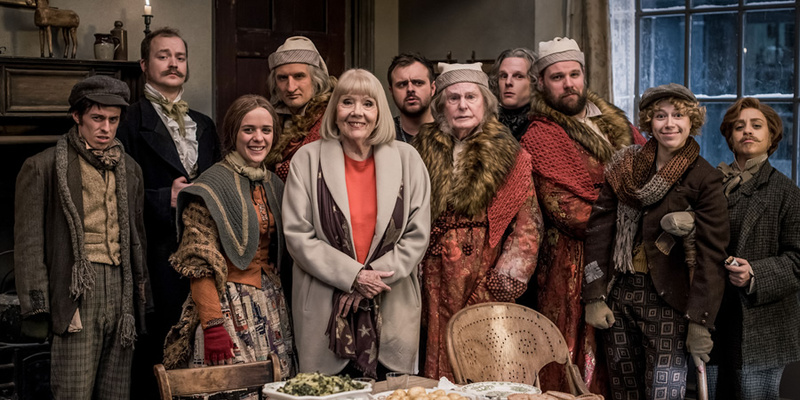 Here a Derek Jacobi fronted version of the festive classic is hijacked by the Cornley Polytechnic Drama Society in their usual manner. The result is pure fun which unlike a lot of modern humour does not try to poke fun at the text rather at the production process. So while the story more or less follows the familiar route it’s safe to say you won’t have seen an interpretation quite like this one! 9 Dec 1982. Watched by Chris Arnsby. Simon Bates: "Welcome to BBC1 on a Thursday night for an action packed Top of the Pops. We've got Shalamar to kick off with, over here at number 19 with Friends." Shalamar: Friends. Top of the Pops must have some money left over from the budget because this performance uses both dry ice and smoke. Unsurprisingly the effect is to gradually obscure the studio while Shalamar do their best to penetrate the fug. Shalamar singer Howard Hewett is wearing a smart Darth Vader t-shirt, and seems to be going for a Han Solo look in general with a holster slung low on one thigh. Watch out in the background -at least until it's obscured- for the bloke wearing the same white slit top as the lead singer from Blue Zoo a few weeks ago. It's possible that it is the lead singer from Blue Zoo. Damn this fog. Unless a franchise is refreshed every so often it will become stale and, great though The Force Awakens was, even its biggest supporter would surely agree that the film was something of a greatest hits package. A better indication of how to develop Star Wars for a new generation lay in the standalone Rogue One which added a satisfying edge to this normally airbrushed universe. 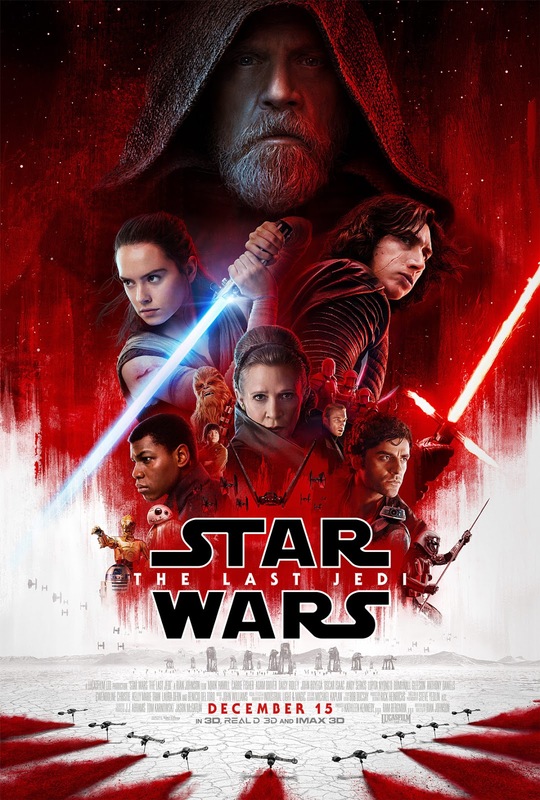 While The Last Jedi doesn’t quite go that far it is a refreshing take with director / writer Rian Johnson adding splashes of contemporary narrative and a visual palette that is far more inventive than any film in the series. 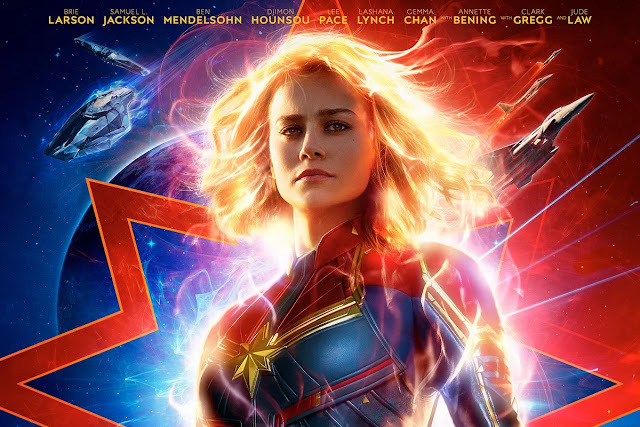 The results appear to have upset some fans but for the less committed this is a strong film that in taking risks rewards viewers with something that feels different. Reviewed by Chris Arnsby. John Peel: "You can call me an old silly if you like but I think this is the best line up for Top of the Pops we've had for a very long time indeed. Laughter and melody and lots of good clean fun. Here are Modern Romance". Modern Romance: Best Years Of Our Lives. Modern Romance are in their pomp. 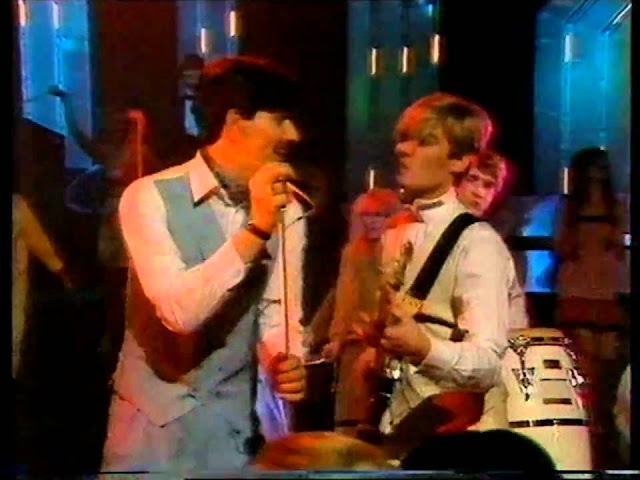 Six of their eight songs have started Top of the Pops since they first appeared in September 1981. There were other, bigger, and better groups but no one else was so clearly favoured by the show. Watching Modern Romance perform Best Years Of Our Lives you can see why. It's sets the mood of the programme; fast paced, energetic, and a chance for the crowd to cut loose and show they're all having the best possible time. I just wish I liked Modern Romance. How do all their songs manage to be both bland and earworms? "Hey mate, R2D2's behind you!" I’d like to take this opportunity to apologise for that thing I did that time, you know the thing I mean. There are no excuses for that sort of behaviour except to say that I had spent the previous half hour being chased by a moose. But that’s no excuse. Apologising has become a Thing. From celebrities being caught doing or saying something they shouldn’t to entire nations atoning for events that may be centuries old, a good sincere apology seems to be required. It’s now as much a part of the public relations choreography as smiling to photographers at film premieres. However does it really mean anything? Isn’t it just a tactical move to try and draw a line under something uncomfortable? 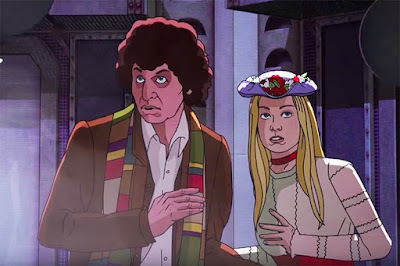 Now released in yet another different format, `Shada` has always attracted more attention than it really deserves due to its status as a half made story and the fact it came from the pen of Douglas Adams. Those who’ve already seen it in the several different releases its had previously will be aware however that large parts of the story are not really Adams operating at his best. Those who haven’t may find this definitive partly animated version heavy going. Despite Adams’ babble of great ideas the overall narrative is extremely laborious, some of the acting is as arch as any of this story’s season bedfellows and the end result is somewhat lacking in energy. Season 15@40 I remember when this was first broadcast finding it uninteresting and too wordy because of course I wanted monsters and action and had no knowledge of taxes so somehow the narrative of the first couple of episodes just never connected with me .Forty years on I find `The Sunmakers` much more interesting as a tax payer and also oddly prescient in terms of writer Robert Holmes’ depiction of a society where additional taxation is used as the answer to everything. In 1977 with a Labour government of course this was probably the order of the day yet now both main political parties tend to use it as a way of getting out of the mess they themselves have made. `The Sunmakers`, despite its grandiose title, is not really that interested in science fiction ideas rather Holmes concerns himself with government and society. In fact save for a few passing references the six Suns that have been made to transform Pluto’s environment are ignored. Reviewed by Chris Arnsby. David Jensen: "Good evening. 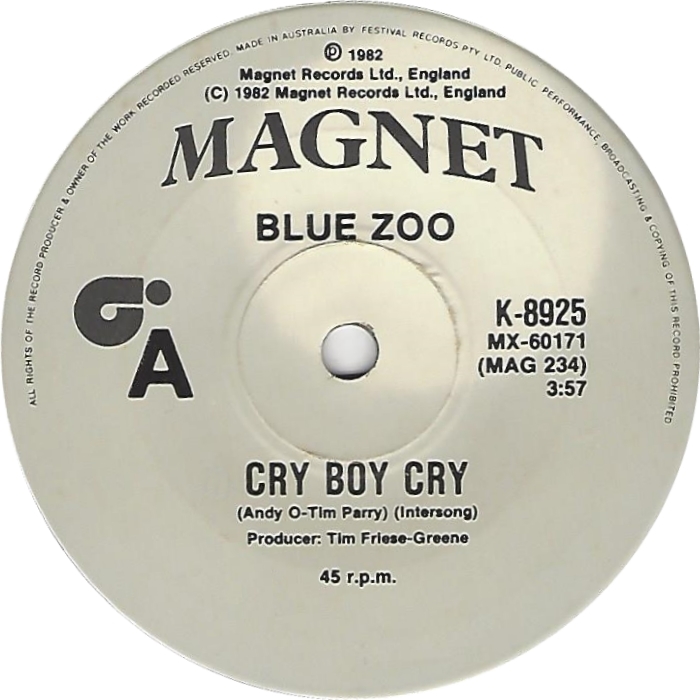 It's my turn to introduce you to the big musical numbers and this week we kick off with Blue Zoo and Cry Boy Cry." 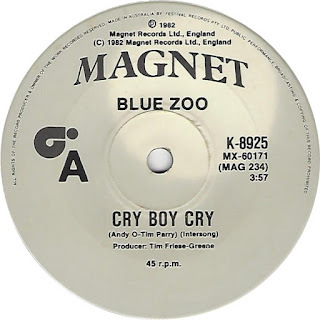 Blue Zoo: Cry Boy Cry: We've skipped a show presented by Mike Smith (for boring rights reasons rather than anything salacious) and so there's a degree of repetition between this edition and the last one repeated on BBC4. Blue Zoo have been promoted to the top of the show slot. The lead singer is wearing his split top again (it looks draughty) but he's lost the red tabard which covered it last time. The hat-wearing guitarist is still doing his own complicated private dance routine but he's left his hat at home. 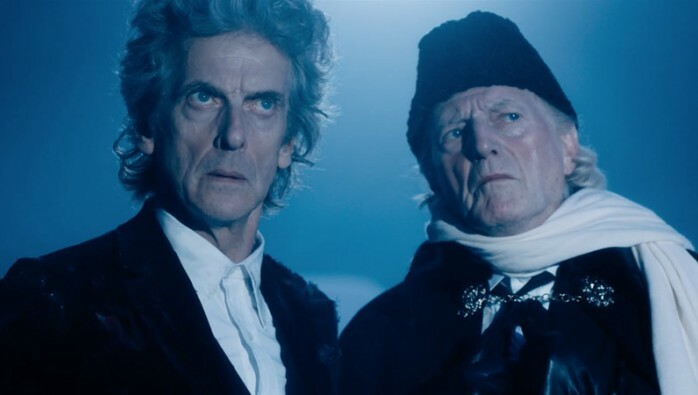 Apparently he was given a choice and preferred the dance over the hat. Teen Peaks! This is a strangely absorbing series even if it often strays into very familiar territory. 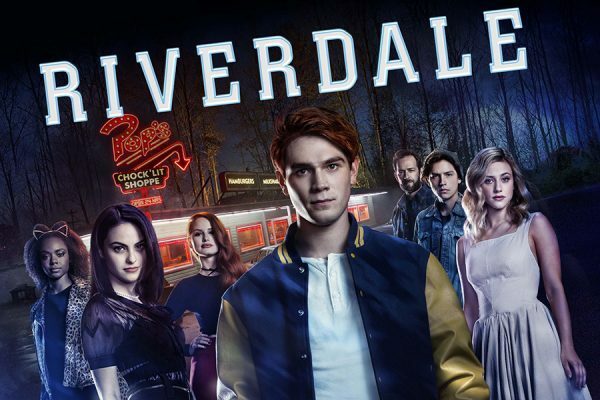 The drive takes the first season through a series of curveballs and false starts while refining characters in a believable way contradictions and all. You’re never quite sure of the intent. There are times when it skews so close to cliché that you wonder if its all an elaborate spoof. Other times the turn of the plot results in something dramatic, exciting or delightfully barmy! Plus it has an all night diner- who doesn't love an all night diner! One thing is certain- it will keep you watching. Nutritionists and health experts hate them, people love them and there’s even a song about them. Chicken nuggets or `nugs` as those in the know call them are breaded or battered chicken pieces which are deep fried- usually in vegetable oil these days. A lot of people imagine it was MacDonalds who invented what they call McNuggets in their usual McWay. 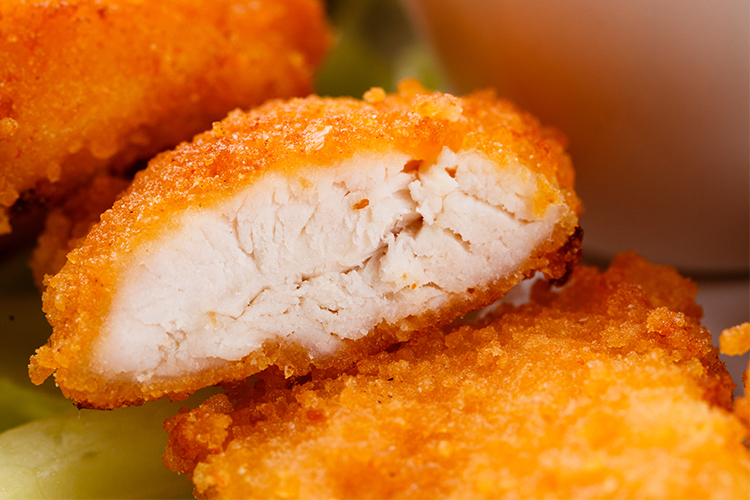 In fact Nugs were invented back in the 1950s and it wasn’t until 1980 that McDonalds launched their McVersion. In fact Nugs were the creation of Robert C Baker, a food scientist working at Cornell University.